A reporter for The Washington Post who has been jailed since July was finally charged by the Iranian authorities in a 10-hour court session on Saturday, his family confirmed on Sunday, but he was not told what he was being charged with. People close to Mr. Rezaian, including his wife, Yeganeh Salehi, who was herself arrested and then released in October, have refused to talk to the news media. But the family of Mr. Rezaian, who holds both American and Iranian citizenship, released a statement Sunday saying that charges had been filed and asking Iran’s supreme leader, Ayatollah Ali Khamenei, to release him. “In its ongoing disregard of Iran’s own laws,” the statement read, “the Iranian judiciary has continued to deny Jason access to legal representation, denied his request for bail and prevented access to review of his case file. Secretary of State John Kerry issued a statement on Sunday condemning what he said was a denial of a bail request by Mr. Rezaian. He also condemned Iran for violating its own laws and international norms. “I am personally dismayed and disturbed at these reports, as I have repeatedly raised Jason’s case, and the other cases of detained or missing U.S. citizens, directly with Iranian officials,” Mr. Kerry said. 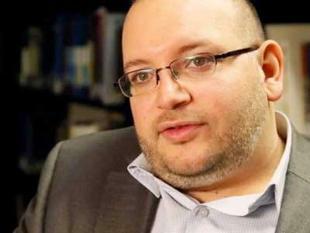 The arrest of Mr. Rezaian, who was officially accredited by the Iranian authorities to work as a journalist, came as a shock to his friends and family, as well as his employer. Iranian officials have said that he is being held for security reasons and that his case is unrelated to his journalism. His family members insist he is innocent of any wrongdoing, and say he has lost weight and is suffering from eye problems. Mr. Rezaian and his wife were arrested along with another couple, a photographer and her husband. The others have been released. Mr. Rezaian has been imprisoned in solitary confinement for 137 days, his family said in the statement, the longest time any foreign correspondent has been held by the Iranian authorities. It is not known where he is being held. Some say he is in a private villa, while others say he is in Tehran’s notorious Evin prison.